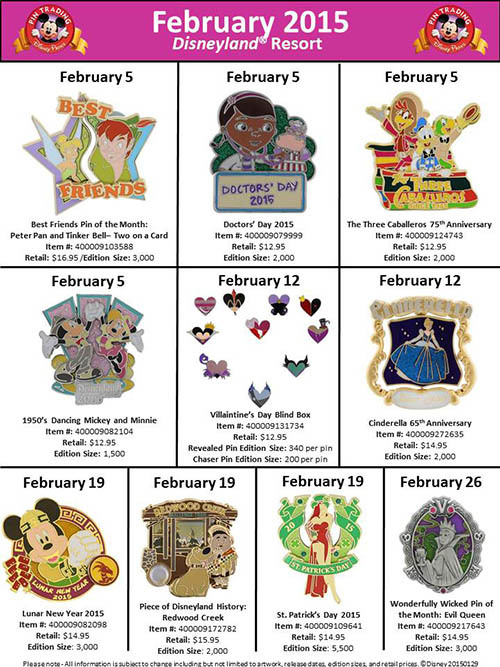 A new pin will be released in all Disney Park locations on February 19 2015. 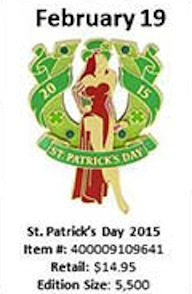 St. Patrick's Day Jessica will sell for $14.95 and is a Limited Edition of 5,500 - which is an unusually high number. Jessica is sitting in the middle of a green horseshoe. The horseshoe appears to feature glitter or clear fill and crystals. On each end of the horseshoe is the "20" and "15" with the banner below as "St. Patrick's Day" in gold metal. Jessica's pose has been used before with the famous Disney Auction 6 Pin Set from 2004.